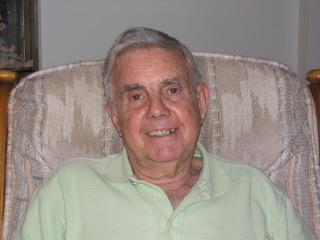 Louis Eather Turnbull, Sr. of Mascoutah, Illinois passed away on Tuesday, February 5, 2019 at the Silver Creek Assisted Living Facility in Mascoutah, Illinois having attained the age of 86 years, 11 months and 28 days. Born in Sullivan, Missouri on February 7, 1932, he was the son of Ralph J. and Madge Turnbull, nee Stroup. He was united in marriage to Geraldine White on May 1, 1953 in Washburn, Maine and she preceded him in death on November 3, 2013. Louis was a configuration manager with the military, was a veteran of the United States Air Force and a member of the American Legion, the Silver Square Dance Club with his wife for many years and loved to go canoeing, for walks in the woods and was a true outdoorsman. Preceding him in death besides his wife, Geraldine Turnbull were his parents; his son, Louis Turnbull, Jr. and his grandson, Nathan Turnbull. Surviving are his children, Cynthia Minder of Mascoutah, Illinois and William (Janice) Turnbull of Dunedin, Florida; his sisters, Jean Politte, Marcy Miller, both of Sullivan, Missouri and Annalea Siebenman of St. Louis, Missouri; his grandchildren, Christina Turnbull, Sarah (Jeff) Harding, Jennifer (Barry) Pensoneau, Alexander (Kristin) Minder, Emily Minder, Jamie Turnbull and Tristan Turnbull and his six great-grandchildren. Memorials may be made to the Alzheimer’s Association and will be received at the funeral home. Friends may call on Tuesday, February 12, 2019 from 10:00 A.M. to 11:00 A.M. at the Creason Funeral Home in Millstadt, Illinois. Graveside services will be held on Tuesday, February 12, 2019 at 12:30 P.M. at Jefferson Barracks National Cemetery in St. Louis, Missouri with full military honors accorded.